Other photos: Photo 1, Photo 2, Photo 3, Photo 4, Photo 5, Photo 6, Photo 7, Photo 8, Photo 9, Photo 10, Photo 11, Photo 12, Photo 13, Photo 14, Photo 15, Photo 16, Photo 17, Photo 18, Photo 19, Photo 20, Photo 21, Photo 22, Photo 23, Photo 24, Photo 25, Photo 26, Photo 27, Photo 28, Photo 29, Photo 30, Photo 31, Photo 32, Photo 33, Photo 34, Manufacturer Provided Image: Saloon Layout, Manufacturer Provided Image: Accommodation Layout. $1,000,000 of Price Reductions in the Last 30 Days! SYS Yacht Sales is pleased to assist you in the purchase of this vessel. 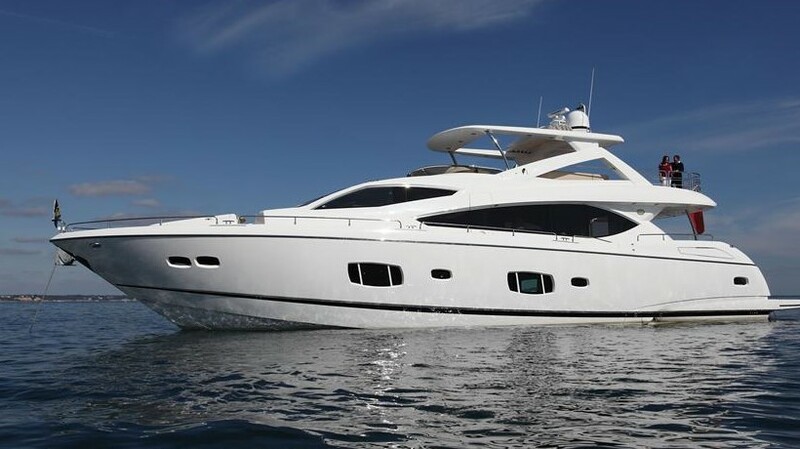 This boat is centrally listed by Tom George Yacht Group.